The Mayan god of death sends a young woman on a harrowing, life-changing journey in this dark fairy tale inspired by Mexican folklore. 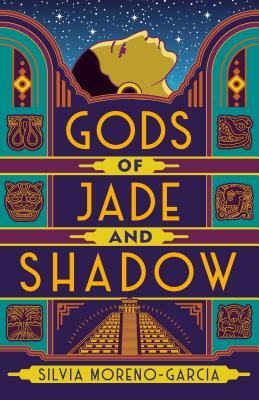 In the company of the strangely alluring god and armed with her wits, Casiopea begins an adventure that will take her on a cross-country odyssey from the jungles of Yucatán to the bright lights of Mexico City—and deep into the darkness of the Mayan underworld. Silvia Moreno-Garcia is the author of Signal to Noise, named one of the best books of the year by BookRiot, Tordotcom, BuzzFeed, io9, and other publications; Certain Dark Things, one of NPR’s best books of the year, a Publishers Weekly top ten, and a VOYA “Perfect Ten”; the fantasy of manners The Beautiful Ones; and the science fiction novella Prime Meridian. She has also edited several anthologies, including the World Fantasy Award winning She Walks in Shadows (aka Cthulhu’s Daughters). She lives in Vancouver, British Columbia.